The theme for this months OwlCrate was Ruthless Royals and it was full of goodies fit for a Queen, so let's get right to it. First up was this genuine agate ring from GeoCentral. I doubt I'll get much use out of it because I have small hands, so it looks a bit much on me, but it is super pretty. 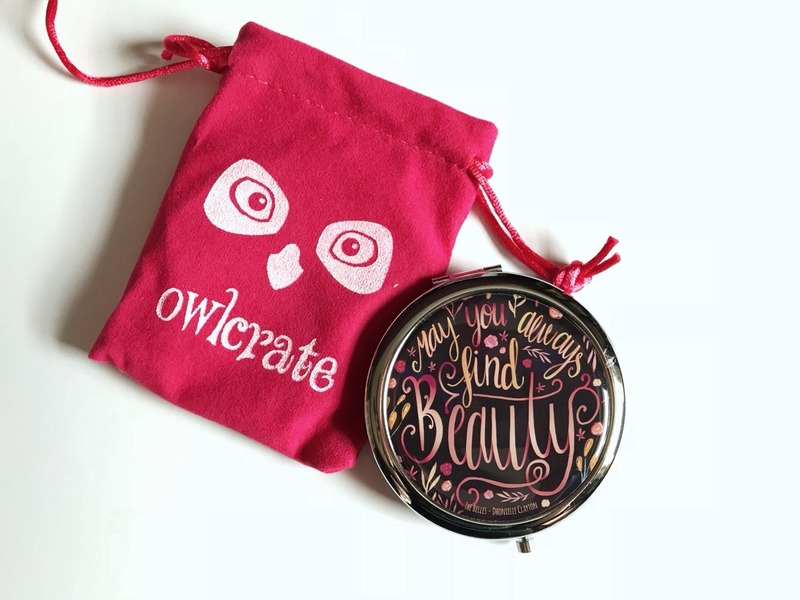 This lovely pocket mirror was designed exclusively by Catarina Book Designs and it's based off The Belles by Dhonielle Clayton. Now you can always make sure you're the fairest of them all. 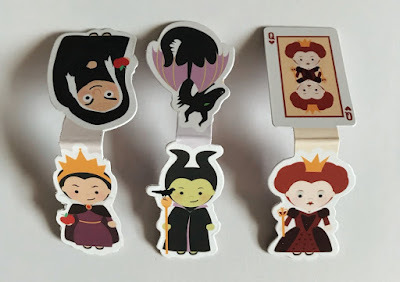 Next up were these adorable magnetic bookmarks designed by Craftedvan. 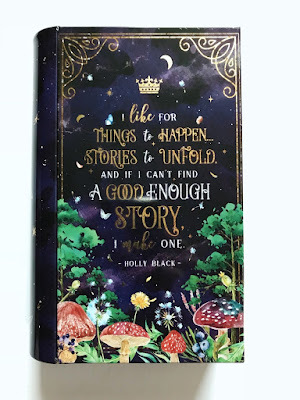 All the other magnetic bookmarks I have are all just one character, so I think the dual design of these are really fun and different. 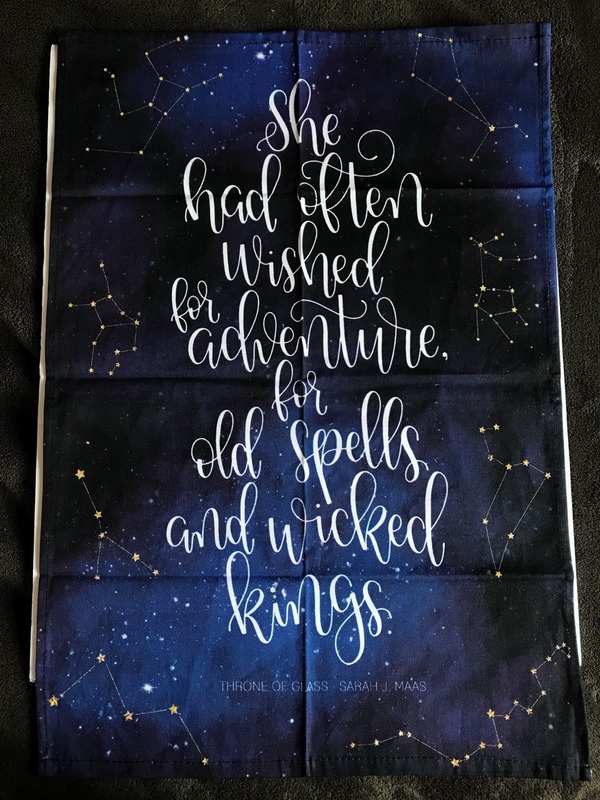 I think this tea towel designed by Little Inkling Designs was my favorite thing of the bunch. 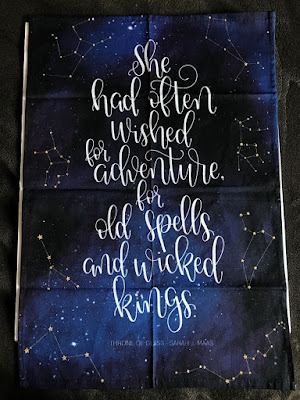 It's based off Sarah J. Maas' Throne of Glass series, and I love everything about it from the typography to the constellation designs in the background. I almost don't even want to use it as a towel, I just want to hang it up like an art print! 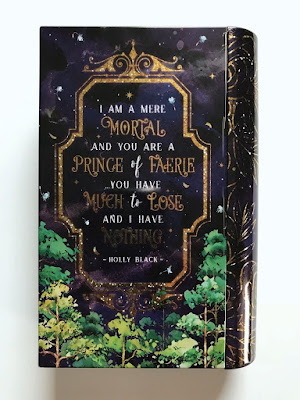 This little book tin designed by Stella Bookish Art is so pretty and unique, I've never seen anything like it in a subscription box before. All the quotes are from The Cruel Prince by Holly Black, and again, I just think the design is so pretty and it's decently sized too which is nice. The book for this month is Grace and Fury by Tracy Banghart. This is a story of two sisters living in a world where women have no rights and very few choices. Serina has been training her entire life to become a Grace, someone who stands beside the heir and is an example of the perfect woman. Nomi works as a handmaiden but dreams of so much more. 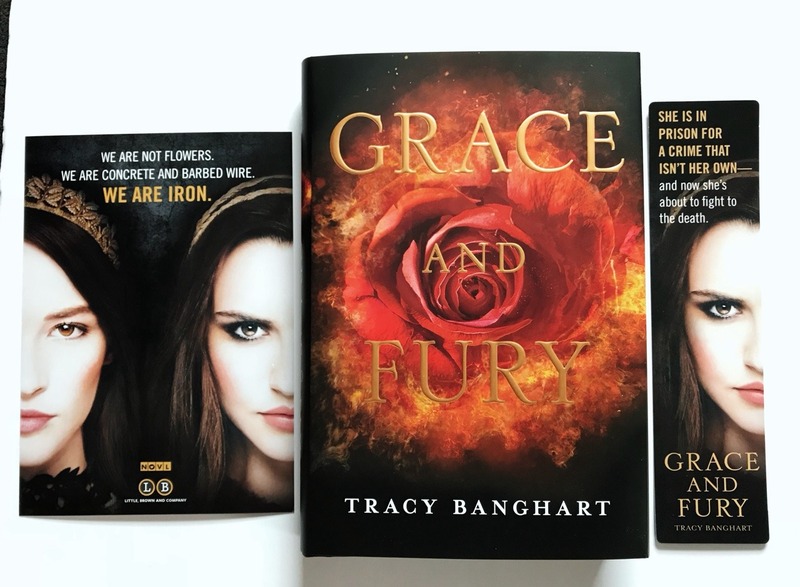 The sister's world is turned completely on its head when Nomi gets chosen as a Grace instead of Serina, and Serina is thrown into prison for a secret that Nomi has been hiding. Both girls must now find a way to save each other before they run out of time. This is a story of survival, family and feminism and I'm super here for it. 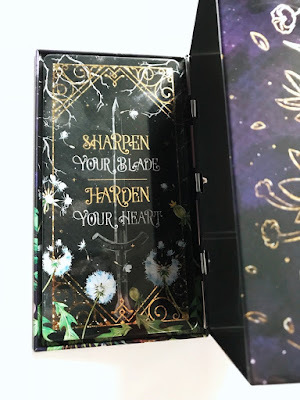 Also, I've been toying with the idea of filming these and doing it as a sort of unboxing instead, so lemme know if that's something you guys might be interested in! 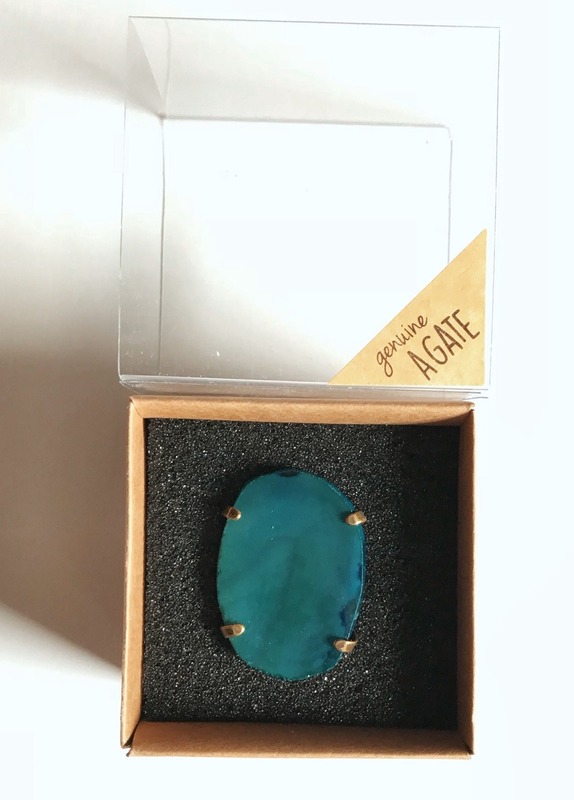 Nice box! The bookmarks are so cute and I love StellaBookish Art. She always makes the most wonderful designs. I've gotten a few of her stuff in these boxes and I'm always so happy with it. Her design style is so great!